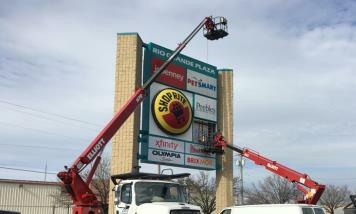 Scepter Sign Solutions also has a large service and installation department consisting of various size bucket and boom trucks to handle all types of sign repairs, installation and outdoor lighting maintenance. 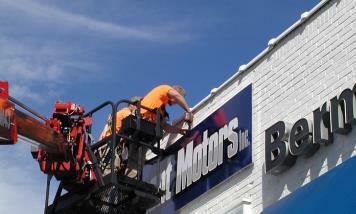 Our experienced team of technicians will service your sign in a timely and efficient manner. Our trucks are stocked with a full rolling inventory of lamps, lamp holders, ballasts and electrical supplies. We are licensed master electricians in Pennsylvania and New Jersey so you can be sure that all repairs are being performed to the highest standards and codes. Whether it’s a single site or many regional locations, we can handle all your service needs. As the saying goes, you never get a second chance to make a good first impression… this is especially true with your sign advertising. 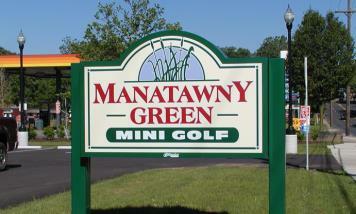 The cost of a well designed and quality produced sign can be amortized over a long period of time. Don’t sacrifice a good first impression for a cheap price - we can work with almost any budget. Call us today or submit a request form and one of salespersons will contact you shortly. We look forward to hearing from you.